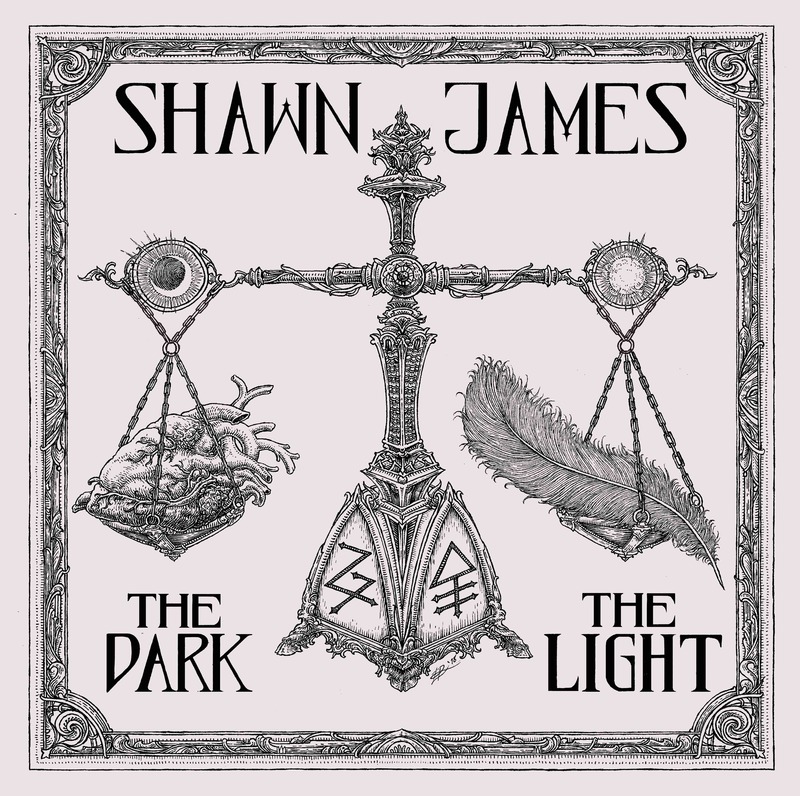 Shawn James’ voice is a force of nature, a musical preacher to a flock that accepts everyone, a combination of the gospel choirs he sang with as a youngster and his training in classical music and opera. 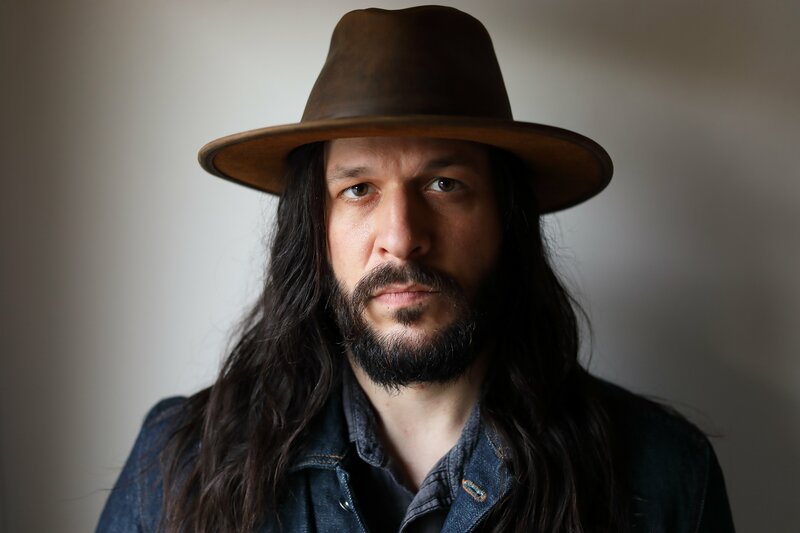 Born and raised on the South Side of Chicago, James’ timeless sound is steeped in blues legends like Robert Johnson and Son House, forever at the crossroads of damnation and redemption, the two inextricably woven into the fabric of his songs. The Dark & the Light, his first album for L.A.-based indie label Parts + Labor Records, marks a creative leap forward for the 32-year-old troubadour. James annually tours more than 150 dates around the world and has released some 70 songs over the past five years, both on his own and as part of his “more raucous, rock” band the Shapeshifters, a loose group of musicians formed in Fayetteville, AR, which served as his temporary home before a recent move to the west coast. 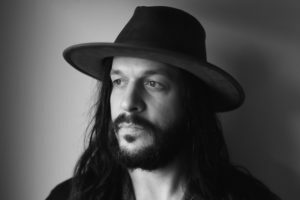 “The record’s about turning the darkness and pain I’ve experienced in my life into songs that can inspire others to make the best of hard times,” he says. Recorded at his new label’s Venice Beach, CA, recording studio with producer Jimmy Messer (AWOLNation, Kelly Clarkson, Kygo, The White Buffalo), the songs for the new album were written by James while back in Chicago. Songs like the Memphis soul of “There It Is,” which vows to counteract bad deeds with good work and the deep blues of “Haunted,” about moving on despite the injustice around us, both tackle the current volatile cultural climate without mentioning names or taking sides. In “The Weak End” and “The Curse of the Fold,” James urges us to embrace our vulnerability in the midst of those who would take advantage, urging us never to give up, to keep going, and not just turn our cards over. During his youth, Shawn was introduced to the Pentecostal church in Chicago. While he no longer is affiliated with any religion, that experience allowed him to sharpen his vocal talents while he sang with the church choir. Naturally gifted, Shawn entered a number of vocal competitions, with a multi-octave range that makes him unique as an artist. He didn’t start playing acoustic guitar until high school and didn’t start writing songs seriously until he was in his mid-twenties. Studying classical music helped him hone his vocal technique, but he learned to let loose emotionally in church. “I had the mix of both worlds,” he says. The new album is James’ fourth solo effort, following his 2012 debut, Shadows, 2014’s Deliverance and 2016’s On the Shoulders of Giants, in addition to a live release (Live at the Heartbreak House) and a two-song covers EP recorded while on tour in Madrid (including set staples “That’s Life” and “Ain’t No Sunshine”). His songs have been featured on HBO, CBS and Sony Playstation’s The Last of Us 2 videogame, with the track, “Through the Valley,” topping Spotify’s Global Viral Charts, while generating more than 60 million streams combined on Spotify, Apple Music and YouTube. More recently, he recorded a soulful take on Macy Gray’s Grammy-winning “I Try” for Grammy.com’s “Grammy Reimagined” series. Shawn maintains a busy slate of performances in the U.S. and abroad. “I love touring because I want to earn what I get, work for it every day,” says Shawn, admitting that’s the hard-hat blue-collar attitude he inherited from his biological dad. “I enjoy the struggle because that’s what makes it all worthwhile. 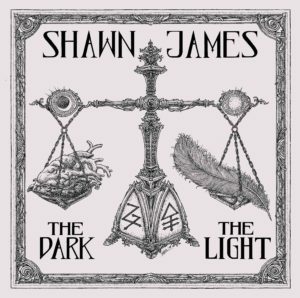 With The Dark & the Light, Shawn James has done just that. He has flipped the script, moving from darkness to light on the strength of song.